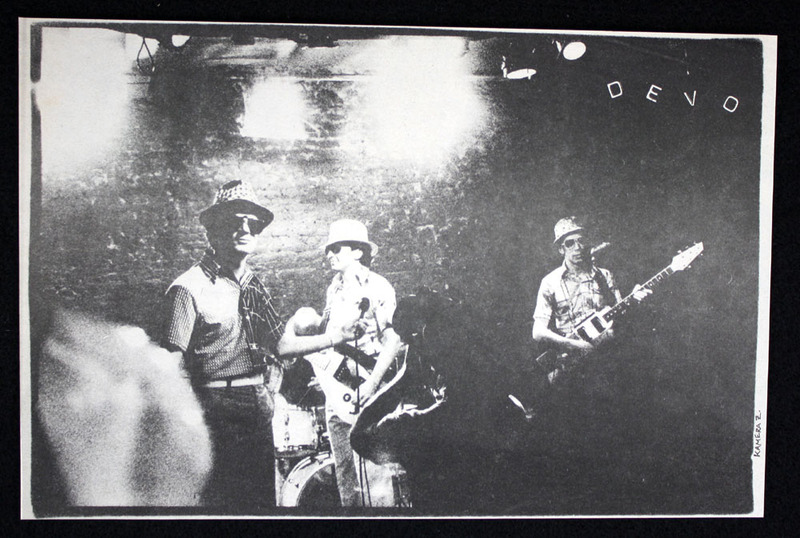 Devo onstage at Mabuhay Gardens. Measures roughly 10" x 6". Clipped from Search & Destroy (1978).